Important Saker Blog Community News and Various Requests for Assistance! Our Saker Community representative – Dagmar Henn – has safely returned form her trip to Novorussia and she has already begun writing her travel reports (for the first one please click here). Unfortunately, in her absence all hell broke lose on the German Saker blog and now instead of enjoying a much deserved rest or writing reports, Dagmar has to scramble to keep the German Saker blog afloat (more about that below). Furthermore, my three Research Assistants (Duff, Raskolnikova and Scott) have begun churning out some very good Ukraine SITREPs and they are now doing so directly on the blog: my webmaster has given them a special “contributor” (iirc) access which allows them to write and format their SITREPs inside the blog and I have to do is check it and press “Publish” to post it (soon I hope to even get rid of this extra step). I should tell you that all three of these RAs are highly educated professionals who are fully bi-lingual in Russian and English and that I have not even begun to tap into their true potentials. But, in the meantime, while they have taken over the writing of daily SITREPs (something which could never do myself, at least not on a daily basis), this has freed some time for me to write up what I think of as “analytical SITREPs” like this one I posted yesterday. You might not have noticed this, but I now have a friend (in Japan, of all places!) who is regularly proofreading my (admittedly terribly written) articles. In the past I did not want to wait for a text to be proof-read before I posted it, but with this friend we have agreed on a rather flexible option: I write and post my stuff as fast as I can (that is still my priority), he then sends me his corrections, and I then correct the already posted text as soon as I can. Yes, I know, this is not a perfect solution, but I believe that this is the best possible compromise. I am still awaiting a confirmation about this, but it is possible that one, maybe even two, Saker Community members will be on the next Victory Day parade in Moscow. This will be the 70th anniversary of the victory over Nazi Germany and this parade will be taking place while almost all western leaders will be boycotting the event in Moscow. By any measure, this will be a historical moment and to have our representatives present there will be a great opportunity for us all. As you have seen, Sheikh Imran Hosein has now completed the 2nd part of the interview I made with him and he told me that he will complete the third one soon. These interviews will become, I hope, just the first step in a much wider process of a “truth and reconciliation” dialog between Orthodox Christians and Muslims . I am also actively trying to establish contacts with Muslims from Chechnia because their recent experience with war and Wahabism and, especially, because their almost miraculous recovery from these horrors makes them uniquely qualified to participate in an Orthodox-Muslim dialog. I have to be honest here and admit that, while this blog used to focus heavily on the events in the Middle-East, ever since the civil war broke out in the Ukraine, my attention has been 100% centered on that conflict. I simply had no time at all, to allocate for other issues. This might now be changing, thanks to the help of a good friend, who has put me in contact with Nahed al Husaini (whose first article you can read here) and, through her, hopefully other useful contacts in the Middle-East. Truthfully, this makes perfectly good sense, as there are increasing signs that ISIS/ISIL/al-Qaeda/al-Nursa is becoming a real threat to Russia. Just look at this article and see for yourself why Russian analysts are so worried about the developments in the Middle-East. I will to address this threat in an upcoming “analytical SITREP” but I can already tell you, that there is a direct link between the Middle-East, the Caucasus and Russia. Thus, this blog should naturally return to a regular focus on Middle-Eastern developments. In the past I had contemplated a Muslim Saker blog, but right now this does not seem to be doable, mainly due to a lack of willing volunteers to run it. But, who knows, maybe this will still happen in the future. This is a huge development, at least for me. As some of you might remember, I have had some very bad experiences with the first Serbian Saker blog and I have no intention of repeating my past mistakes. 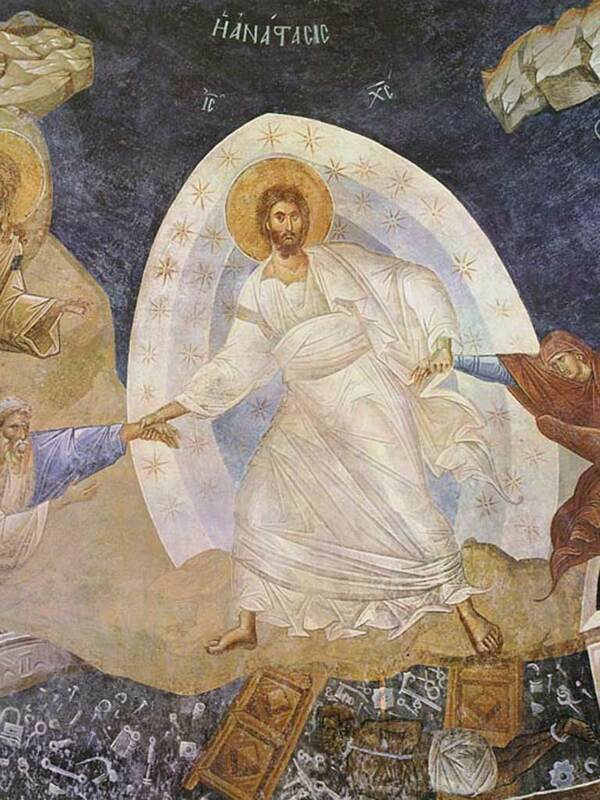 Still, the topic of Serbia is, just like the one of the Middle-East, one that we cannot ignore. Not only did Serbia play a key role in WWI and WWII, but the civil war in Bosnia has done more to alienate Orthodox Christians and Muslim from each other than any other event in recent history. Finally, the US/NATO aggression against the Serbian nation in the 1990s has been the prototype from which most, if not all, of the subsequent AngloZionist aggressions have been modeled. I therefore consider the topic of Serbian history as absolutely crucial and central to the understanding of the current dynamics between what I call the “Russian civilizational realm” and the AngloZionist Empire. Thanks to some highly motivated Serbian friends the “Serbian history topic” will become a regular feature of this blog. I will probably create a separate section for that purpose. There is a real possibility of the rebirth of a completely new Serbian Saker blog, but this time around in completely different conditions. I cannot go into the details right now (if only because they are being worked out), but I can tell you that this idea is being actively worked on. There is a strong possibility that I personally, and the blog, will be involved in a major “Serbian” event in the course of this year, though the details will have to be worked out. I know, this is not much and it is vague, but this is as much as I can share with you now. 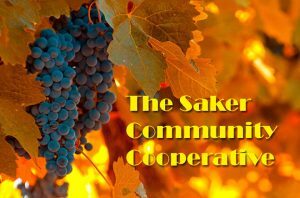 Moderation at the Saker blog – the good and the not so good and a call for volunteers!! The good news is that the moderators at the Saker blog are doing a superb job. The bad news is that there are way too few of them. One of the mods told me yesterday that she worked for 14 hours nonstop. That is crazy!! So I am using this opportunity to make a call for volunteers!! If you can spare just a few hours per week (or more!) please simply post a comment anywhere on the blog and put “MESSAGE FOR THE MODERATORS” on the first line. Then explain what your availabilities are and leave your email so that Moderation Team Leader (kk) can contact you directly. Some of you might have noticed that at times the server at thesaker.is loads slowly. Others have reported that their comments have mysteriously disappeared. Our community’s IT Security specialist (LL) has traced the problem to certain part of the transatlantic Internet connection between the USA and Europe. Whether you experience these problems or not depends on your ISP (in my case, Brighthouse, and I experience them fully and most irritatingly). You might ask if we should not pick a US-based server, but that would just shift the problem. There is another solution, but that would be a costly one: to rent out a proxy server in the USA but that would cost a lot of money (more than our entire IT budget of 480 dollars as of now). LL and AA (the head of the IT TEAM) are working on these issues and eventually a solution will be found. Please be patient in the meantime. Russian Saker blog status and a call for volunteers!! The good news is that thanks to the efforts of the Oceania blog, members of the translation team and other volunteers the translation work has resumed again. The bad news is that the Russian Saker blog itself is stalling. If you speak Russian and can help by translating from Russian into English or by proofreading, or researching, or any other activity, please email me at vineyardsaker@gmail.com or thesaker@unseen.is and I will forward your email to the right people. Attack on the German Saker blog and a call for volunteers!! This is a bad, ugly and potentially dangerous story. So, again, I will be very careful in what I say. I will summarize it as so: it is my conclusion that an individual linked to some powerful interest group has been given access to documents which disclose damaging information about one of the members of the German Saker blog. This individual then approached the German Saker blog and began releasing his venom. 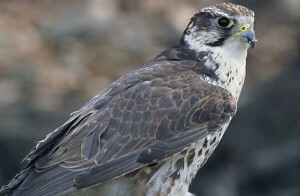 Still, it is a fact that one member of the German Saker Team was fond guilty of a serious criminal offense in his past and that he served time, because of it. However, while this individual did pay his debt to society, his reputation has been irrevocably damaged by these events. Rather than to subject himself to more blackmail and rather than risk involving the German Saker blog in this nasty matter, he chose to resign. Another member of the German Saker blog also chose to resign. As a result, Dagmar Henn is now running the entire German Saker blog by herself and she obviously needs help. So please, if you speak German and can help with translations, research, moderation, or any other activity, please email me at vineyardsaker@gmail.com or thesaker@unseen.is and I will forward your email to the right people. Our community is a large one and it has members with all sorts of political, religious, moral, ethical and philosophical inclinations. We are not united because we all agree with each other. As Saint Augustine wrote, “In necessariis unitas, in dubiis libertas, in omnibus caritas” which I freely translate into “in the essential – unity, in the debatable – freedom, and in everything – love”. This is how we, I strongly believe, should operate. Furthermore, when we work together it is not because we “like” each other: we are not married to each other, but rather we fight a common enemy: the Empire. I will tell you honestly that the German Team member who had to leave was not my favorite person, and we had plenty of very serious ideological and moral disagreements, but I categorically refused to participate in a lynch mob and simply toss him out. I have a confession to make here: I have as a practice to trust people before they prove to me that they are worthy of this trust. This has cost me dearly in the past. But I will not change this practice. We know from the Gospels that for roughly every 12 people there will be one traitor and this has very much proven itself to be true in our community. But consider also this: for every 12 people there will be eleven who will show themselves worthy of trust! For me, this is how the Internet world must work: you show trust to people you barely know and then you judge them on their actions, not their past or their reputation. Is that a risky method? Yes, sure, but the results are no worse than in those government agencies, which spent billions of dollars to issue security clearances, so, in fact, this is the best possible method, in a dangerous and ugly world. Yes, along the way, I was betrayed by some people, but each time other, wonderful and kind, people have stepped in and offered my the help, and every time I ended up the winner in this “trade”. And it is not my business now to judge those who abused my trust and betrayed me – that is God’s judgment to make. I prefer to put my efforts in learning from my own mistakes and how to best work with the newcomers. Yes, there will be traitors in the future too, but that is simply inevitable when dealing with humans and one has to accept that as a fact of life. I ask all of you – members of our community – to set aside your personal likes and dislikes and to work together for our common cause and not for our own social or psychological comfort. Help us not because we are personally worthy of your help, but because our cause is just! DK (HI), FV (MD), H or W (Czech Rep.), NS (IN) twice , C (MA), E (MI), CB (FL), J (ME), CFD, LA, DB (KY), TE (CND), MF (QC), KH (NY), TNH (CA), SY&N (Japan). To all of you who have written to me, I want to express my apologies for not writing back (I simply physically have no time left for that!) and I want to thank you from the bottom of my heart! It is a wonderful feeling, especially on the bad days, to get a letter from as far as Honolulu or Japan, or as close as Florida, and see there there is somebody who cares enough about what I do to sit down and write me a kind note of support. Like everybody else, I have my ups and downs, and my 3D (disgust, despair and depression) days come and go with the regularity of a tide. One of my big weaknesses is that I get really hurt by slander. I know, this is a sign of immaturity, and there is a French saying which says that Il n’y a que la vérité qui blesse (only the truth really hurts) but I have discovered that this is not quite true. What also hurts is the ugly intention behind the slander, even if the slander itself is ridiculous and obviously baseless. Think of it: if I said to you that you are, say, a cannibal. That would be stupid and baseless, right? But if you knew that my intention in saying so was to inflict the maximum pain on you, would that intention of mine not hurt you just as much as through a truthful accusation? For me, it is hard to cope, not so much with the silly accusation, but with the awareness that the other person is desperately trying to inflict as much moral pain as possible, to insult me as strongly as he/she can. That, to me, is a real source of distress and pain and I have yet to learn how to detach from that. Each time I feel “polluted” and feel like “washing my soul” from that ugliness. Does that make sense or am I failing at explaining this? I recently have had my share of ugly and stupid accusations and I want to simply tell you, that during those 3D days, your kind letters of support (many of them written with amazing kindness and warmth of heart! ), really helped me get over that filth. So even if I don’t reply to your letters, please be sure that I read all of them very attentively, often several times, and I show them to my wife as each time I am amazed of the kindness shown to me by people who quite literally know nothing about me. So please, keep them letters coming, they help more than you can imagine! As for the donations, well, how shall I put it? I am deeply thankful to those who did send in their support for my work, even if I wish more people did so… But rest assured that even if the donations to this blog are going through some rather difficult patches, I will continue to work just as much to improve and strengthen both this blog and our entire community. If you can, send me your help as a donation, or as a letter, or even as a prayer for me, and if you can, do all three! 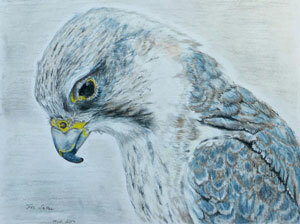 But if you cannot, then try to help the other Saker blogs (especially the Russian and German ones!) or participate in our community, in any you can. Simply put: please help us help you and please help us resist the Empire! Become involved in any way you can, but become involved! Join our Resistance! On a final note: a special thanks to those who have responded to my recent fund-raising drive to help AC, the wonderful lady who wrote all the transcripts to my podcasts (the 6th one has recently been posted here!). We have collected just over 600 dollars which I will send her next week. And this just in: the LatinAmerican Saker blog is moving to a new location: http://sakerlatam.es/. Please don’t forget to update your bookmarks!! Who the hell is this guy Mykhailo Cherenkov? And just how much or how little of a brazen lying propagandist should we take him to be? Is there any truth to any of his claims whatsoever about the role of Orthodoxy in the East Ukraine, Crimea, etc.? One prima facie point telling against him is that I, for my part, have seen zero reports of Orthodox outrages in the US mainstream press. At the same time, no human conflict is ever pure evil versus pure good. Note that no form of religion is a priori exempt from the possibility of committing the most heinous acts, as far as I am concerned. Original Sin and its effects afflict us all. First of all anything from an organisation that it writes for its own people is going to be biased. Nothing wrong with that but you need to be aware to expect it. (Problems are ones that hide their bias and try to make out they are neutral). “Orthodox Army” is one small rebel battalion that uses an Orthodox Icon for its flag, actually I think they are Cossacks. 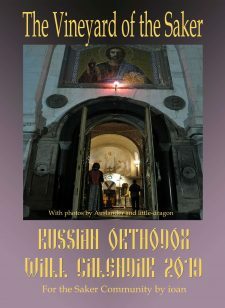 There are very few Protestant churches in Ukraine, and none have been seized in Donbass….possibly some have in the west (Galicia) where the UNO Nazi groups are actually mostly (Greek) Catholic. Priests and pastors have been killed or tortured, also in that area, not where the fighting is. Greek Catholic priests backed up by thugs have taken over some Or5thodox churches. So have the Kiev Patriarchate patriarch backed up by thugs too. (Kiev Patriarch is actually a defrocked Moscow one who split the church himself, to get himself more power; he is also married, which bishops are not allowed to be. Moscow Patriarchate priests have indeed blessed Novorossiyan fighters. They are not terrorists. I have personally seen at least one video where one of them blessed 8 dead Ukrainian soldiers’ coffins (with holy water and incense) before they were returned to their families. So there’s a stack of lies and half-truths in that one paragraph. That is Greek Catholic aka Uniate. Anyone and anything is worth Googling for, amazing who and what you can find there. PS the site is moderated, it can take 10 to 20 minutes normally, a few hours if nobody’s here which they try to time for quiet times. Here are a few links that might be helpful in this conversation…. The orthodox banner seems to be more widely used than just the orthodox army. Here is a banner ceremony in which it is received by Mozgovoi (great speech by Mozgovoi, as always, by the way). Rather than a statement about an orthodox nature of the militias, it’s purpose seems to be to encourage higher moral behavior in a moral cause. Here is an RT article about a Mormon from Donbass fighting under Motorola (if any one knows if he still lives, please let me know). What I like about this article is that “the Mormon” indicates that religion is strong within the militias but there is a diversity of religions present among the fighters (and some atheism). What allows for this seems to be a mutual respect for whatever it is that has inspired people to join the cause…. that something good has inspired the right kind of character in a person & brought him/her to the militias is what seems to ultimately matter. It’s things like this that make the religious hypocracy mentioned above so visible & discussing. THIS is one of the elements that has made me fall in love with this struggle. Perhaps I am an idealist, but I see these men & women as resisting a globalist force that is really hard to put into words other than that it enslaves & corrupts humanity, sows division & carnage & seeks to drain nations of their resources & wealth as well as their sovereignty, unique cultures & spirit. 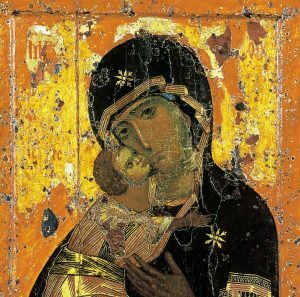 As good people all over the world ought to be fighting this battle on their own turf, perhaps Novorossiya might prove an inspiration & example of humanity united in a higher cause with proper respect for what makes each of us different & the same, including the diverse spiritual sources which inspire each to this movement. the Former Soviet Union (FSU). @Who the hell is this guy Mykhailo Cherenkov? And just how much or how little of a brazen lying propagandist should we take him to be? He is a Baptist, i.e an American propagadist (“missionary”) who displays the generally imbecilic Protestant outlook in regards to the Orthodox Church. But it is more to that. Protestants as well as their precursors, the first protestants – the papists, are exactly what you say, “brazen lying propagandists”. Their fight against the Orthodox Church is multisecular and in this fight lying and deception are their weapons of choice (the so-called Greek Catholic “Church”, is one of these deceptive contraptions). Or rather not, they had no choice. They are the “of their father the devil, and they want to do the desires of their father. He was a murderer from the beginning, and does not stand in the truth because there is no truth in him. Whenever he speaks a lie, he speaks from his own nature, for he is a liar and the father of lies.” (John, 8:44). I am not universally anti-Protestant- every individual must be judged by his/ her own works, but the Protestant religions have a distinct history with capitalism and imperialism that must be understood in this context. Protestantism essentually grew up with capitalism. whereas Christianity long made profiting from another (or gaining in another’s loss) taboo if not a sin, Protestantism came to celebrate wealth as a sign of virtue. As the new middle classes of the US, for example, became filled with Protestants eager for upward mobility, remnants of traditional Christian beliefs were made to conform. Profiting & wealth lost the stigma of sin with the notion that each required hard work, & work was virtuous. If work is virtuous, then wealth ought to be a sign of a virtuous character etc etc (See Weber’s “Protestant Ethic”). Both the Protestant inclination toward fighting for economic mobility & the belief that wealth denotes virtue has inspired a strong hostility toward the Soviets ( who I guess these guys think still run Russia). 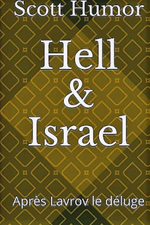 Moreover, this belief system has made Protestantism more inclined toward imperialism, and from here we get into some good explanations for why the US & Britain behave as they do (Jews have historically only discouraged profiting off of other Jews). Saker, I wont give you a comforting reply, however, your strongest “attitude” towards abuse is silence. Ignore them, they want to provoke a response. Also, stop swallowing their poison – i.e. stop repeating to yourself their destructive utterances. Turn bad into good: redirect that jolt of offense, that reaction into productive work. Thank you Tao, you have nailed perfectly. 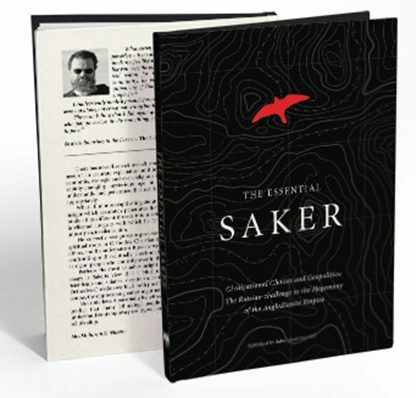 Saker is definitely very passionate and considered man, not just for himself and for his family, but for the all world,because of his life experience. We can’t change everyone to think in the same way, we simply shouldn’t, it would be very boring, but to help each other around the world to get rid of this tyranny it should be a “Must” for every single nation around the world. And for Saker – these psychotic people really enjoy when they see somebody suffer, suffer very badly especially emotionally, because they always in their psychotic mind must to feel they are stronger and they are the winners and they own the all world. Well, time is approaching very, very fast when they discover that their power and money were just an illusion and nothing else. and Russia acts against the interests of huathis who are fighting the same enemies in yemen which want to destroy russia through wahabis terrorists armed by english stooge saudi arabia and supported by americans and corrupt UN! what russia has done to her allies will haunt russia for a long time-those who God want to destroy makes him stupid and mad. Yeah, but because the threats to Russia are existential, she cannot afford to make any big mistakes. She will just have to weather the small ones. Where this idea that the Houthis are Russians “allies” come from? I am confident that Russia has the means and willingness to deal with the ISIS rabble. Remember the how the Russians dealt with the Somali pirates who dared to seize the container ship Moscow University – carrying $50m of crude oil – on May 5, 2010 in the Gulf of Aden? No Russian ship has been attacked ever since. a year ago, Moscow missed the perfect moment for defeating the enemy – had made a strategic error due to wrong assessment of the international situation and including the situation in Ukraine. In an effort to avoid war, we have not escaped. But the war continues… the war did not stop for one day after the Minsk-1, nor after Minsk-2. She alternated truce, while the Ukrainian army was rearming, replenished and prepared for new battles. 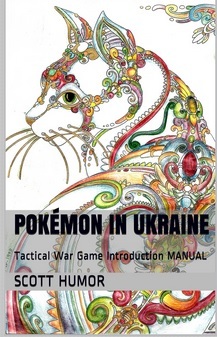 And now Ukraine does not hide that is preparing for war. A year ago we missed the perfect moment for defeating the enemy, when it can be destroyed with minimal losses, in fact reformat the Ukraine and to return at least half of it, in the sphere of influence of Russia. Moreover, the population from Kharkiv to Odessa was ready with open arms to meet the Russian troops. People were ready for any form of integration with Russia. …Unable or not daring to support Yanukovych, Moscow faced a choice: to accept, to accept the loss or to fight. The choice was, as they say, between bad and very bad. However, the reality has surpassed all expectations. Was chosen as an interim solution: two and a half. And, as often happens, it was the worst of the worst. On the one hand, and Russia is not passively wait, when it finally humiliate and squeeze from Sevastopol, but also to go to the end also did not dare. The performance of the Russian population in Ukraine has been supported of late, insufficient and indecisive. To defeat the enemy, while he was extremely weak and virtually helpless, we didn’t dare. Events followed favorable for the United States to plan the path of negotiations and concessions. As said by a famous person said: step forward, two steps back. The same thing happened in 1990-ies, in Yugoslavia, when the determined action of the people’s army were neutralised subsequent diplomatic agreements until the moment when the enemy was so strong that it could win a military victory. In fact, Russia is now drawn into the bloody conflict. Moreover, the fact that Russian troops directly do not participate in it, not play a decisive role. Starting with the Crimean events, in the eyes of the world, the worldview which forms the Western media, Russia is presented as the aggressor. Even the attempt to “honor” the retreat, which best illustrate the Minsk-1 and Minsk-2, the enemy is not accepted and is not met with understanding. Yeah, but it doesn’t do any good to do a “Hitler” either. It may be that Strelkov himself made the error not to fight. He had 1000 men in Slavyansk, a great deal of ammo & he admits that he was told to defend his position. Instead of holding it until the 2d wave of rebel fighters appeared he chose to retreat. He then continued, he himself says contrary to orders, to retreat, giving up one-half of the territory won. This process stopped only when other commanders stopped it. He was then recalled to Moscow where he has never stopped criticizing OTHERS for not fighting. He has continued to talk about covert actions. And the whole thing reads like a guy who is on someone’s payroll. His whole site, in fact. Just look at some of his other posts. Not saying Strelkov is right in all of his views, but it is obvious that there is a big industry defending the Kremlin, no matter what they do. If they recognize the rebel republics tomorrow, the same guys will say it was wise. Certain TV guys really feel like this. In any case, what we need is a more honest discussion of the pros and cons of the Kremlin’s prevent defense since the Crimea. The US has a good track record of propping up authoritarian and unpopular regimes, including in civil wars. The idea that a bad economy will cause the people to rebel is questionable. How long did Franco in Spain last? Again, not saying that the Kremlin has made a mistake. They needed to get their economy and finances changed, and perhaps a bunch of weapons systems tested. But the PR meme that the power in Kiev might change because the masses are disappointed is naive. The difference now is that terror is going to move from Kharkov and Odessa to Kiev or Lvov. if the NR army had pushed further westward, any successes would have been crushed later. Temporary successes would have only provided more impetus for NATO and EU action and worldwide attitudes to support Ukraine against against Russia , and Russia has shown itself capable of resisting the storm. Also the support for Ukraine is paper thin, like the value of its currency and economy, there is now a much deeper realisation and fear of the incredible catastrophic potential Ukraine is heading for economically and politically, eg lack of water supplies in west Ukraine Lvov is so symbolic of further shambles, the “civilised” part is really going to be hit home metaphorically and in reality, the neo nazi aspects have now become world widely known. So in fact the pretentiousness of Ukraines claims to fight Russia on behalf of the west has been shown to be complete baloney, and has shown the EU that their carelessness has exposed them to joint ridicule politically and financially with Ukraine, and a general wake up call about USA-EU-NATO relationships (which is good to expose and re-evaluate these). Donbass is increasingly consolidated and showing itself to be far better at nation state building than The Ukraine. So , IMHO, a “successful ” route has been navigated through. Trying not to be too harsh on Strelkov, but he can’t see past his nose. He sees ONLY what Putin should have done for his (Strelkov’s) dream of victory for Novorossiya (which wasn’t his to dream for in the first place, him being from Moscow). He does not stop to consider how close to WW3 (a nuclear one) an open military intervention in August could have taken the world. Or could take even now. And if not? if Russia comes in and help “liberate” 3 or 4 republics? but ends up totally embargoed by the whole world for it? then who, and with what. is going to rebuild those flattened republics? Instead of World of Warcraft he should play Farmville for a while and see how much more goes into building a society than into rolling tanks over it. Putin: Decision to send S-300 to Iran taken after Saudi Arabia invaded Yemen. Published on Apr 16, 2015Ukrainian President Petro Poroshenko never made an offer to Putin to “take Donbass,” as a media report claimed earlier, the president said. He added that unfortunately the authorities in Kiev are severing their rebel provinces with policies such as the ongoing economic blockade. The time has come for Russia to sever relations with the Ukrainian government, declare it an outlaw state, and proceed to arm and fund the resistance throughout all oblasts. I don’t believe that Russians wish to live according to the terms of business contracts drawn up by their capitalist leaders and imperialist ‘partners’. and as far as Dagmar…wow, I’m glad she’s back…it seemed like as soon as the tour was on, the fighting started again…congatulations Dagmar…well done girl !!! I assume this is current, within the year. It’s not a short list, BTW, since it includes past “club” members. If you are an American citizen, would you be so kind as to draft, put up, and publicize such a petition, ASAP? If you are not an American citizen, I’d be honored to do so, though I’m not sure what the best vehicle for doing so would be. Also, please note that I have no significant capability to publicize such a petition. The Syrian president Bashar al-Assad has given a rare interview. He answers questions from Kassem Hamadé in English. The interview starts after about a minute. Swedish text. As Saint Augustine wrote, “In necessariis unitas, in dubiis libertas, in omnibus caritas” which I freely translate into “in the essential – unity, in the debatable – freedom, and in everything – love”. This is how we, I strongly believe, should operate. Furthermore, when we work together it is not because we “like” each other: we are not married to each other, but rather we fight a common enemy: the Empire. Some previous comments on similar matters were published, but apparently subject to “moderation” not on this particular blog. Perhaps your statement reflects a fear and/or unawareness of some of the uses of high noise/signal ratios. Change is often perceived to be threatening and hence modulation/register of response is a useful metric of depth of immersion. Content is often a datastream of types of immersion. Taking an analgeisic to mask the pain. Attacking the source of the pain. Perceiving pain as a signal that something is not as expected. The choice of options made is often a useful metric. Perhaps in some perceptions your formulation above reinforces “exceptionalism” as it may attempt to limit the opponents to the other, for example Empire, Anglo-Zionism etc. Where can I post a question for your excellent podcasts?